David is a young man who tells a lie in order to avoid the wrath of a gang in his neighborhood --- but the gang is wise to him and turns up the pressure. Remembering the stories his mother told him as a child, and supported by his friends and classmates, he turns the tables on his adversaries and finds the courage within himself to confront the gang once and for all. The Moon Prince: A Rap Opera is a one-act children’s musical using contemporary and original hip-hop and rap music with a DJ. Two worlds are depicted in the show – the world of African folktales (portrayed with motion-capture live digital animation and puppets) and the everyday world of an inner-city neighborhood. The characters on stage use full-face masks and do not speak; the singing and dialogue are provided by offstage vocalists. The Moon Prince: A Rap Opera was commissioned to specifically address the absence of realistic stage literature for inner-city youth and honestly addresses many of the issues young people address on the streets: peer pressure, gang violence, and the temptation of drugs and alcohol. 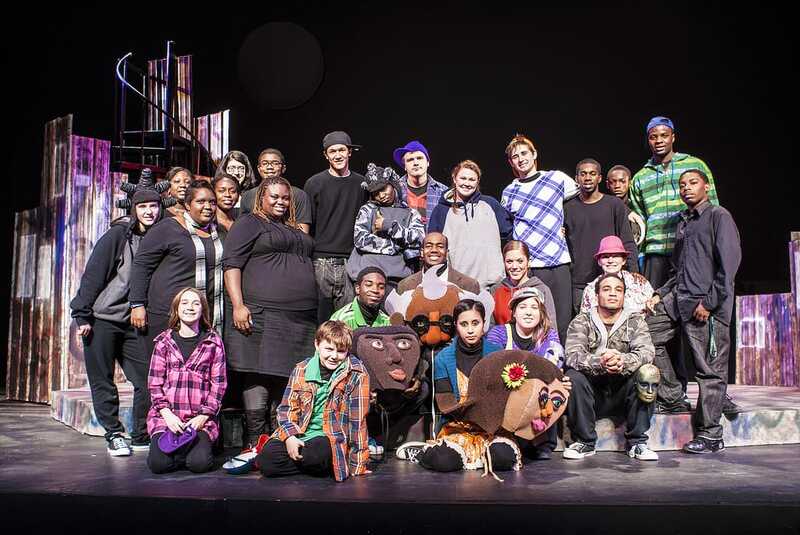 The Moon Prince: A Rap Opera was originally commissioned by the Dimock Community Health Center’s Adolescent Services Program and produced in workshop by the Dimock Street Voices and the Massachusetts College of Art in Boston in 2000. It was later supported by an Arts & Science Council Grassroots Grant and produced in workshop at UNC Charlotte in 2002 by a consortium of Charlotte, North Carolina area partnerships: The Charlotte Mecklenburg Schools, Fighting Back, the Charlotte Area Health Education Center, the Afro-American Cultural Center, and the UNC Charlotte Office of Summer Programs. The Department of Theatre and the Digital Arts Center in the College of Arts + Architecture at the University of North Carolina at Charlotte mounted a full production of The Moon Prince in 2011. In 2017 The Moon Prince was an Invited Production at the New York Musical Festival. An original cast CD recording and an instrumental accompaniment CD recording were produced in 2013. The accompaniment CD provides underscoring, dance, and transition music as well as instrumental song tracks. For more information or to preview the soundtrack click HERE.